To use this filter just select the formats you want to passthrough, and it will be used by the player automatically. NOTE! You should disable other decoder filters to prevent the decoding of the filter's output. 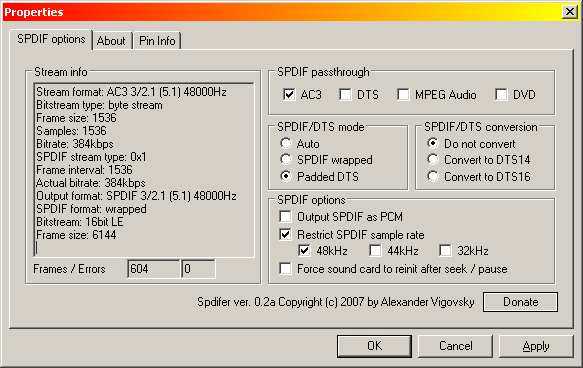 To use Spdifer in conjunction with AC3Filter, disable formats enabled in Spdifer at the AC3Filter's 'System' page, and disable 'SPDIF' format.